EdTech firms have seen a huge inflow of funds in 2016, setting the trend for 2017. The firms in this sector have seen investments of over $320 million in 2016. India is the second largest market for e-learning after the United States. It is expected to grow at a CAGR of 19 per cent in the next few years. This growth is proof that like any other sector, technology has also transformed the Indian education sector for good. “I think in 2016, there has been a shift from looking at solutions from a technology perspective to understanding how students learn and creating value for them,” says Crackverbal CEO Arun Jagannathan. The market for online tutoring and test preparation has grown tremendously in 2016 with startups tapping the opportunities and making it big. The average online tutor can today earn anywhere between $10 to $100 an hour (or even more) depending on their academic qualifications, experience, and technical expertise. According to Vamsi Krishna, Co-founder & CEO of Vedantu, “There are over 250 million kids in the K-12 segment in India out of which 80 million are studying in private schools and go for some or the other kind of supplementary tuitions. At present, India’s tutoring market is around $11 billion and slated to grow to $ 16 billion by 2017.” Added to this is the increasing penetration of the Internet that is giving a boost to the concept of online tutoring. “India is in this incredible position to achieve global success through e-learning. There is so much incredible innovation happening here in India that I believe we will lead the world as the standard setter for e-learning. I see Brainnr leading the charge,” says Philip F Sparks, Chief Product Officer and Co-Founder of Brainnr, a firm that specialises in online education, providing online tutoring solutions since 2015. Test preparation, too, has gone digital. “Mobile learning is especially a hit with test-takers of the GMAT and GRE. With innumerable study apps and a variety of study methods (flashcards, games, quizzes, podcasts and more), it unquestionably emerges as the winner in the field of online test preparation,” says Jagannathan. EdTech firms have seen a huge inflow of funds in 2016, setting the trend for 2017. The firms in this sector have seen investments of over $320 million in 2016 and Byju’s has been the best case in point. “I think the biggest news in 2016 has been the successive rounds of funding raised by Byju’s – a validation that edtech is a viable investment area. Till now the feeling was edtech was not really fundable but the valuation that Bjyju’s has received proves that the problem to solved is indeed large enough,” says Jagannathan. 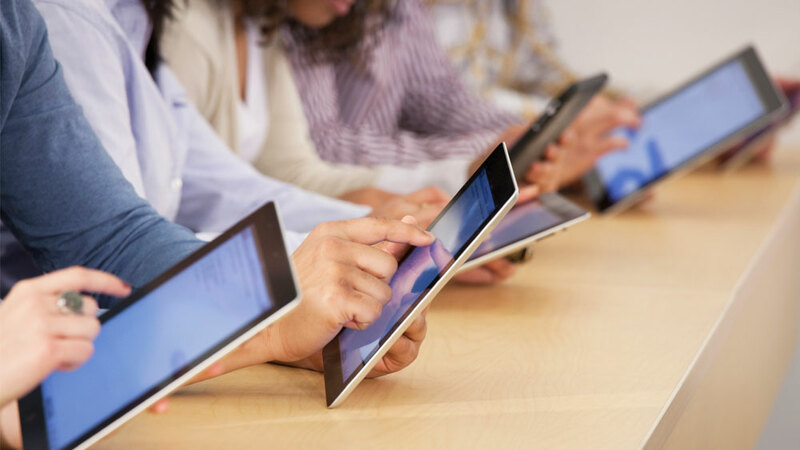 Technology is also changing the way evaluation is done in the education sector. According to MeritTrac Executive Vice President Nagendran Sundararajan, during the last decade, On-Screen Marking, a technology enabled intervention to assist evaluation of descriptive answer scripts has emerged as the most viable option for streamlining examinations. Successful implementation of On-Screen Marking technology has resulted in improvement in quality, accuracy, speed and experience of evaluation. “The digital evaluation system enables evaluators to mark a scanned script or online response on the computer screen itself, rather than on paper. Every process that is followed in the manual evaluation of papers can be replicated in this system. This, along with the rich functionality of the digital evaluation system that enables the customisation of tools to the individual user’s requirement, increases the ease of adoption. The automation of the evaluation workflow enables the creation of a transparent process that comes with a high degree of security,” he explains. Technological revolution has also brought forth a new way of teaching, i.e., through Virtual Reality. “Students can now look forward to learning about the solar system in a three dimensional environment and even physically engage with the planets and moons in a solar system. VR’s ability to introduce practical knowledge to students without having to leave the room is an invaluable contribution to education,” says Monica Malhotra Kandhari, MD, MBD Group. “Virtual reality also removes barriers associated with transport and logistics in real world and opens up immense opportunities to be explored. Students for instance can go on a field trip to the Amazon rain forest from the comfort of their classroom anywhere in the world. Hitherto near impossible tasks such as a field trip to the moon or the surface of Mars can now be explored from the within the comforts and safety of a classroom. Such a realistic multi-dimensional experience delivers a truly immersive learning experience, making the knowledge gained much more holistic,” she adds. Besides these areas, technology has also paved way for changing the dynamics of higher education and also supporting the Indian government’s Skill India push. Rajiv Pratap Rudy, Minister of State for Skill Development and Entrepreneurship (MSDE), at the India International Trade Fair 2016, announced the extensive use of modern technology and digital solutions in skill trainings that the youth will experience across the nation. Tech rules of classroom education..